Fall is just around the corner. The days are getting shorter, the nights are getting cooler, and mailrooms around the country are picking up the pace. They are dealing with a mound of quarterly financial statements, back-to-school documents, order forms, legal documents, and more - just like a pile of leaves. 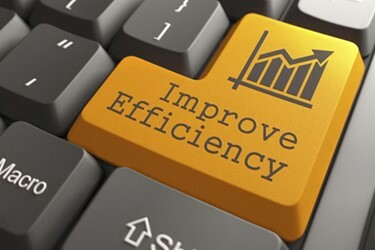 If you’re an overworked mailroom manager, you may feel like dumping all those envelopes into a pile, but there’s a better, more efficient way to deal with that mail: automated mail sortation solutions can improve not only the productivity in your mailroom but also enable new levels of tracking, and even digital mail delivery. At Johns Hopkins, their mail distribution operation handles 21,000 pieces of mail each week using a state-of-the-art mail sorter. Johns Hopkins first incorporated the OPEX® Mail Matrix® in 2012, which enabled the automated processing of 97 percent of their mail volume (including magazines and small parcels) at a rate of 3,000 pieces per hour in a single pass. Liberty University in Virginia created lean operations in its overflowing mailroom using the OPEX Mail Matrix sorter. Previously, sorting mail generated 126 hours of staff overtime at the start of each semester. With automated sortation, the university has been able to save $120,000 annually.